Welcome to the Sharpsville Area School District's page on Bullying Prevention. All parents want their children healthy and safe in our schools. In the Sharpsville Area Schools community, we share the vision and responsibility of ensuring that our schools are orderly, that peer to peer interactions are healthy, that problem behaviors are reported and addressed promptly using our policies and procedures, and that our teaching and learning environments are positive and nurturing. 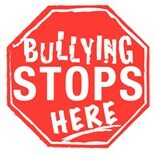 If you would like to join our District's Bullying Committee, please call Mr. John Vannoy at (724) 962-7874. Here you can find the District's official policy on student bullying/cyberbullying and some useful resources for preventing bullying and reporting it when it occurs.